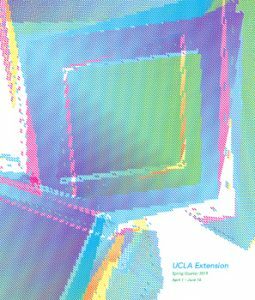 UCLA Extension Entertainment Studies offers two scholarships for our students. Click on the images below for more information and to apply. Applicants must have completed a minimum of 12 course units required for their certificate program by the application deadline. Scholarship award: $2,500 (for use toward the cost of Film Scoring courses). Applicants must be enrolled in the Certificate in Film Scoring. Applicants must have completed a minimum of 12 course units from the “Required Film Scoring Courses” list by the end of the Winter 2019 quarter.